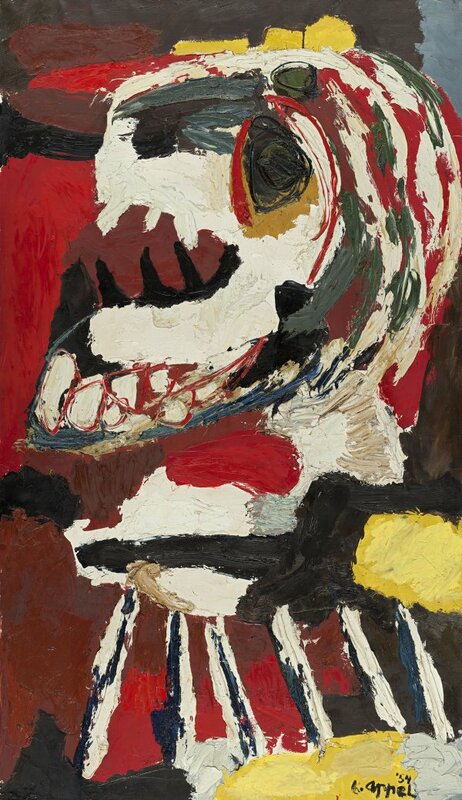 During the years immediately after the Second World War, the Dutch painter Karel Appel, together with Constant, Corneille, Asger Jorn and Christian Dotremont, founded the movement known as CoBrA, an acronym of Copenhagen, Brussels and Amsterdam. With the aim of taking a stand against Surrealism, the members of this heterogeneous group advocated an impastoed style of painting that was free and spontaneous, childish even, characterised by its violent expressiveness and impetuous gesture stemming from their rejection of all earlier artistic norms. Wild Horses, a large canvas dated 1954, evidences Appel’s sweeping, gestural style. His originality lies in his freedom of action, in the impulsive movement in which the thick brushstrokes are applied in garish colours, giving shape to an amorphous, clumsily modeled figure with a fanciful appearance, in which the artist seems to hint at a wicked smile and a large eye that becomes a tunnel leading to unknown depths. The violent brushstrokes with which the paint in primary colours is applied contribute to disfiguring the image in an irreversible metamorphosis and to creating an overall effect of confusing, indeterminate plasticity. 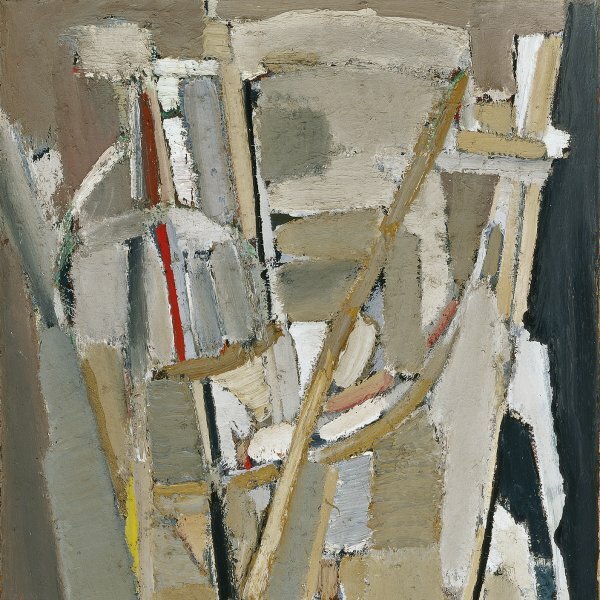 The viewer is struck by the creative violence from which emerges this grotesque form and which may recall that of the German Expressionists of the start of the century, whose tragic sense of existence was shared by Appel.